Now, who brought the pressed duck? Since the film with Walter Matthau and Jack Nicholson, any number of people have produced a ‘bucket list’ of things to do or places to see before they ‘kick the bucket’. 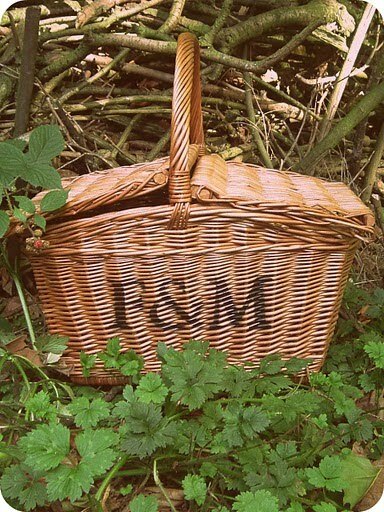 For my part, I’m a great fan of the civilised picnic, so I’ve called mine a ‘hamper list’ instead. So far, I’ve managed picnics at Christ Church, Lord’s, Wimbledon, Glyndebourne, Noosa, Mount Kenya, the Grand Canyon and Niagara Falls (among others), but there are plenty more to go. On the other hand, I’m not going to do any of these things on my own, so I can’t cross any more off the list until I find my own Jack (or Jaclyn) Nicholson to come with me! I’ve come close to seeing them while flying across the Atlantic, but I was on the wrong side of the plane! Next time, I’ll make sure I’m sitting comfortably on dry, Scandinavian land, nibbling on pickled herring washed down with Swedish vodka. Two thirds of tourists suffer from Delhi belly in India – and I even managed to catch it from eating food on a Bollywood film set! – so I might not visit go there for a while, but where better to share a chicken tikka marsala, Peshwari naan and a bottle of Tiger beer with your own loved one than in the tomb of another?! I can at least cross off spending New Year on a beach doing what comes naturally with my girlfriend at midnight, but I still have a hankering to visit the kind of remote and deserted swimming hole Paul Hogan and Linda Kozlowski found in Crocodile Dundee. I’d suggest a little barbecued barramundi with a fruity shiraz. Over the course of five seasons and any number of holidays, I’ve skied in most major resorts in Europe and North America, but I still haven’t had the pleasure of Rocky Mountain powder, preferably in Utah or Colorado. The fare might have to be quite simple, though. Burger and Coke anyone? The ‘boys only’ category would usually be empty, for obvious reasons, but golf is probably the exception. Sharing a haggis and a nip of Lagavulin from a hip flask with the boys within sight of the hotel on the 18th would be spectacular. Yet more Scotch mist, but this time in a very good cause. What’s the point of learning how to use a weapon if you can’t use it to bring down such a noble beast? I blame Hemingway for this one. I read The Sun Also Rises at a formative age, and I’ve wanted to see a bullfight ever since, preferably in Ronda but anywhere the sun shines. This entry was posted in General and tagged travel on April 28, 2012 by Nick Dale.